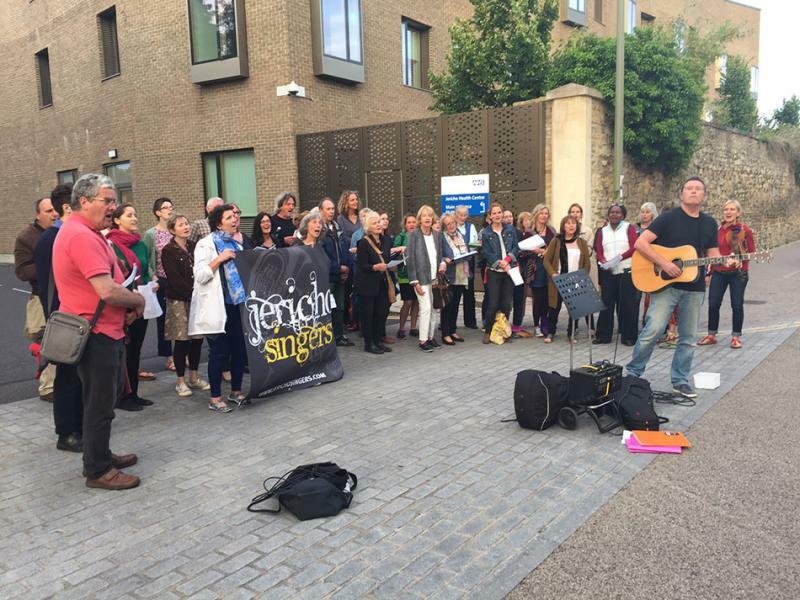 Jericho Singers Annual Street Singing Adventure! 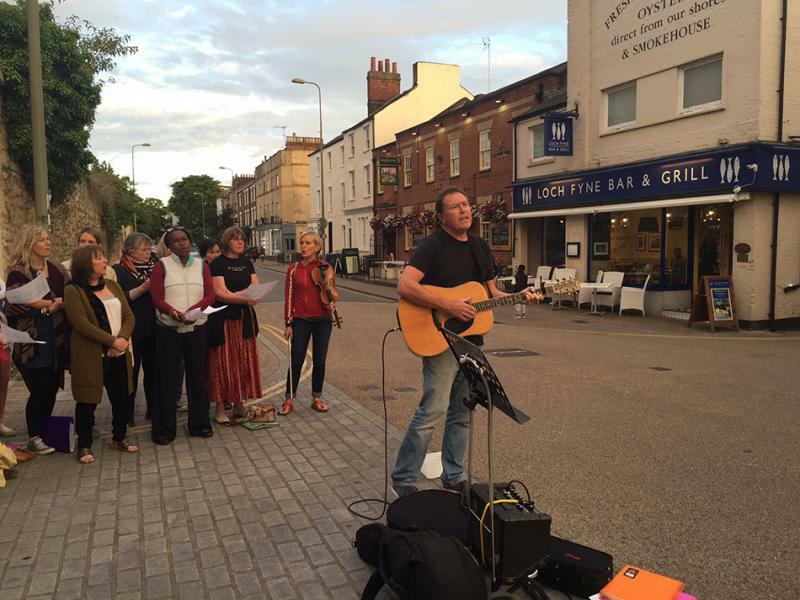 A wonderful evening of lovely performances around the streets of Jericho to a welcoming and generous audience in houses, pubs and restaurants along the way. 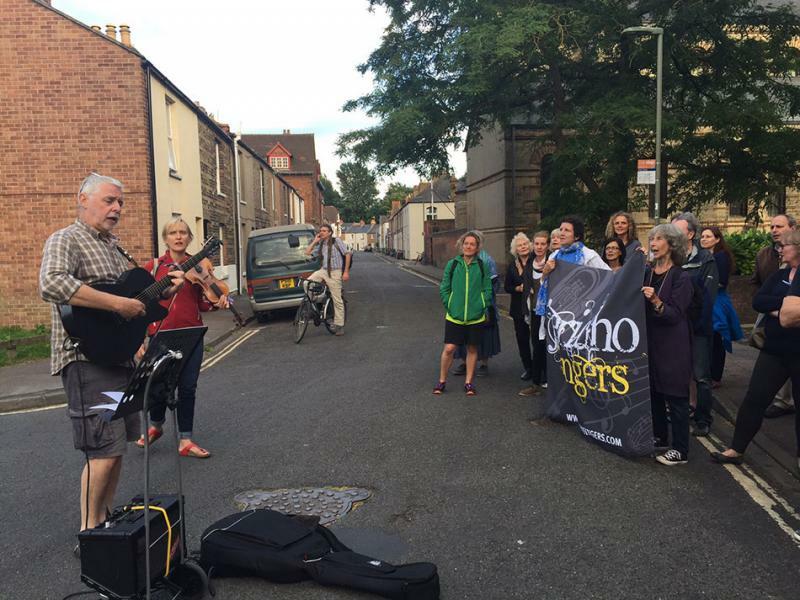 We sang songs of the canal, folk songs, jazz, pop, gospel too. Especially lovely this year were the two performances lead by soloists Ray Burrows and Jeff Young, 'I Wish I Had a Boat' and 'Dirty Old Town'. 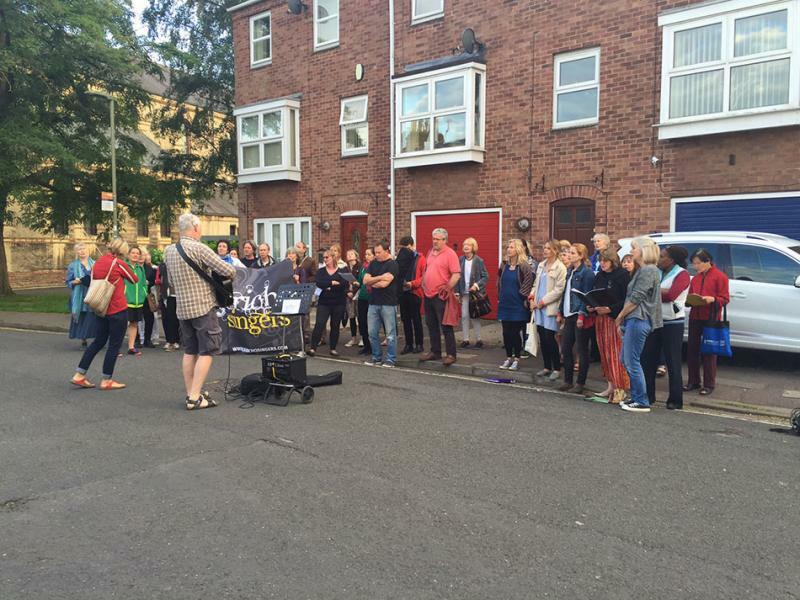 Highlights of the evening included singing in the garden of the fabulous Gardeners Arms pub in Plantation road where we serenaded Pat from Wyndham House across the way and our finale in the lovely square in William Lucy Way next to the canal. Thanks everyone for your splendid singing and bonhomie!